Would you like MyLawyer to contact you? Please complete the fields below. February 12, 2015 / My Lawyer / Comments Off on What is meant by real security? Real security means that, on the basis of a creditor’s right against the debtor (principal debt), a creditor acquires a limited real right in the property of the debtor as security for the payment of the creditor’s right (principal debt) by the debtor. Real security differs from personal security in that a creditor does not acquire a limited real right in the property of the debtor in the case of personal security, but only acquires a creditor’s right against a third party as security for the payment of the principal debt by the debtor. Such a third party is normally surety of the debtor. 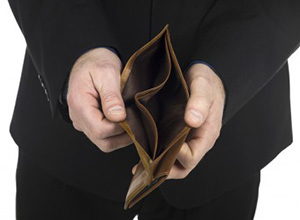 A requirement for real security is the existence of a valid and enforceable principal debt. The real security is accessory to the principal debt, in other words the real security is terminated automatically if the principal debt is paid in full. If the object of security is moveable property, real security can be in the form of either pledge or notarial bond. In the case of pledge the object of pledge (corporeal or incorporeal moveable property) must be delivered by the pledgor (debtor) to the pledgee (creditor). Physical control of the pledge object is a requirement for the establishment and continuation of a limited real security right to the security object. The pledgee has the obligation to maintain the pledged property within reason and, on termination, to return the property to the pledgor. A notarial bond can be registered in respect of specified, corporeal moveable property of the debtor (mortgagor) in favour of the creditor (mortgagee) in the deeds registry. After registration of this bond, the mortgagee acquires a limited real right to the encumbered property without delivery thereof to the mortgagee. Immoveable property of the debtor serves as the object of security in that a mortgage is granted by the debtor (mortgagor) to the creditor (mortgagee) and registered in the deeds registry. A mortgage is a liquid document which grants the mortgagee a limited real right in respect of the immoveable property of the mortgagee without the physical control of the property being passed to the mortgagee. More than one mortgage can be registered over the same immoveable property at the same time. Priority is given, in this case, to mortgagees in the order that the mortgages were registered (prior in tempore, prior in iure). The pledge of the mortgagee (creditor) can, if the principal debt is not paid in full by the mortgagor or pledgor (debtor), have the security object sold in execution and is entitled to the proceeds of the sale in execution for payment of the principal debt. In the case of insolvency of the pledgor or mortgagor, the pledge or mortgagee acquires a preferent claim to the proceeds of the sale of the security object. Every week the Company’s employees scanned the “green gazette” for advertisements of sales in execution of residential properties. The Company employs consultants all over the country. The consultants then canvass the business of the execution debtors concerned: The debtors are told by the consultants that a cancellation of the sale in execution can be achieved by availing of the provisions of the Insolvency Act. The Company offers to arrange the publication of a notice of surrender in terms of Section 4(1) of the Act for the payment of a fee. They further indicate to the debtor that there will be no consequences if an application to court does not follow. This buys the debtor 30 days. In the 30 days the Company, if the debtor so wishes, will at an additional fee, conduct a forensic audit in which it will with great probability demonstrate that the execution creditor (often banks) miscalculated its claim and afford the debtor an opportunity to a reach a compromise with the execution creditor. When debtors default on their payments the banks instruct attorneys to take action against them. The bank can get these attorney fees back from them, in a separate account with different interest rates, but they are not allowed to add it to the balance of their bond with higher interest involved, they can only add entries pertaining to their bond account, not legal fees. The Company then argues that the bank is in breach of contract, and apply to court for setting aside of default judgment. 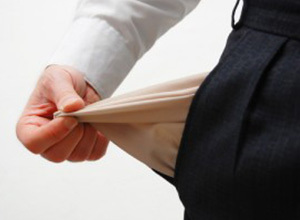 What does the Insolvency Act say? Section 4(1) of the Act requires a notice to be published not more than thirty days but not less than fourteen days before application is made for surrender of the estate of the debtor. Section 5(1) of the Insolvency Act provides that it is unlawful to sell any property, in the debtor’s estate in question which has been attached under writ of execution, after the publication of a notice of surrender (in terms of S4(1)) in the Gazette (this provision is for bona fide voluntary surrender application not fraudulent applications). Unless the person charged with the execution writ did not know of publication and the property is valued at less than R5000. The decision to publish a notice of surrender by a debtor involves intention of the debtor to eventually apply to court for the acceptance of surrender and to carry out necessary steps involved in order to obtain such sequestration order. One can withdraw a notice of surrender (in terms of Section 7) by applying to the Master for written consent or in terms of Section 6 the notice of surrender lapses if no application for surrender is made after 14 days of date specified in the notice of surrender, however this provision is intended for the benefit of creditors not debtors. Section 6 makes it clear that no legitimate purpose can be served by the publication of a notice of surrender if the estate in question is not actually insolvent and if it cannot be shown that sequestration costs can be paid and that sequestration will be advantageous to creditors. This case involved an application to court, where the applicant sought an interdict against the respondent for engaging in business of publicising notices of surrender (unlawfully) in terms of Section 4(1) of the Act. The Court held that the Company is interdicted from carrying on this sort of business. It is unlawful and fraudulent and a misuse of the provisions of the Act. It is clear from the facts of the case that in virtually all the cases the debtors never had the intention to go through with the surrender; it was merely done with the object of frustrating sales in execution. A notice of surrender is not an acceptable device for gaining time to undertake forensic audits of client’s accounts with the execution creditor, or to find a basis to apply for the rescission of the judgment that is in the process of being executed. In conclusion it is therefore important to note that the publishing of notices in terms of Section 4(1) of the Act should only be done with the intention of a subsequent sequestration. Every week the Company’s employees scanned the ‘green gazette’ for advertisements of sales in execution of residential properties. The Company employs consultants all over the country. The consultants then canvass the business of the execution debtors concerned. 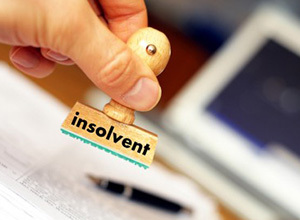 The debtors are told by the consultants that a cancellation of the sale in execution can be achieved by availing of the provisions of the Insolvency Act. The Company offers to arrange the publication of a notice of surrender in terms of Section 4(1) of the Act for the payment of a fee. They further indicate to the debtor that there will be no consequences if an application to court does not follow. This buys the debtor 30 days. In the 30 days the Company, if the debtor so wishes, will at an additional fee conduct a forensic audit in which it will demonstrate with great probability that the execution creditor (often banks) miscalculated its claim and afford the debtor an opportunity to reach a compromise with the execution creditor. When debtors default on their payments the banks instruct attorneys to take action against them. The bank can get these attorney fees back from them in a separate account with different interest rates, but they are not allowed to add it to the balance of their bond with higher interest involved; they can only add entries pertaining to their bond account, not legal fees. The Company then argues that the bank is in breach of contract, and applies to court for setting aside of default judgement. Section 4(1) of the Act requires a notice to be published not more than thirty days but not less than fourteen days before application is made for surrender of the estate of the debtor. Section 5(1) of the Insolvency Act provides that it is unlawful to sell any property in the debtor’s estate in question which has been attached under writ of execution, after the publication of a notice of surrender (in terms of Section 4(1) in the Gazette (this provision is for bona fide voluntary surrender application, not fraudulent applications), unless the person charged with the execution writ did not know of publication and the property is valued at less than R5000. The decision to publish a notice of surrender by a debtor involves intention of the debtor to eventually apply to court for the acceptance of surrender and to carry out the necessary steps involved in order to obtain such sequestration order. One can withdraw a notice of surrender (in terms of Section 7) by applying to the Master of the Court for written consent, or in terms of Section 6 the notice of surrender lapses if no application for surrender is made after 14 days of the date specified in the notice of surrender. However this provision is intended for the benefit of creditors and not debtors. Section 6 makes it clear that no legitimate purpose can be served by the publication of a notice of surrender if the estate in question is not actually insolvent, and if it cannot be shown, sequestration costs can be paid and sequestration will be advantageous to creditors. This case involved an application to court, where the applicant sought an interdict against the respondent for engaging in business of publicising notices of surrender (unlawfully) in terms of Section 4(1) of the Act. The Court held that the Company is interdicted from carrying on this sort of business. It is unlawful and fraudulent and a misuse of the provisions of the Act. It is clear from the facts of the case that in virtually all the cases the debtors never had the intention to go through with the surrender; it was merely done with the object of frustrating sales in execution. A notice of surrender is not an acceptable device for gaining time to undertake forensic audits of client’s accounts with the execution creditor, or to find a basis to apply for the rescission of the judgement that is in the process of being executed. Interim maintenance until date of divorce – husband’s nightmare and wife’s weapon? Migrant workers – is there any social insurance for them in the employment sphere?